The Stow Schools Foundation is a board comprised of up to 15 Stow Residents from diverse backgrounds serving no more than 3 year terms. 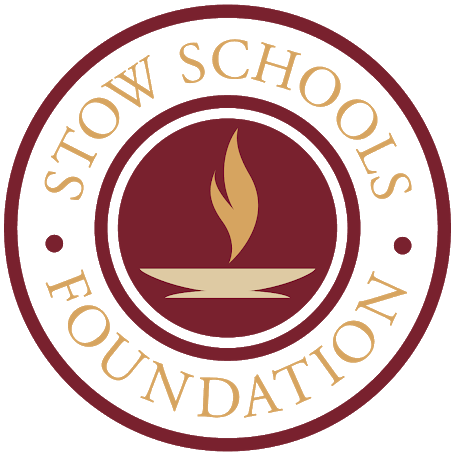 If you have an interest in serving on the Stow Schools Foundation Board of Directors please contact us at info@stowschoolsfoundation.org. Shon Christy boasts almost 20 years of marketing experience and is the Founder and President of Shon Christy Social Media. In 2010 he opened Christy Creative Ohio’s first niche social media marketing firm and has founded and sold 2 firms since that time. 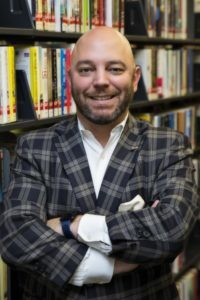 His work has been featured in Inside Business; Smart Business; the Akron Beacon Journal; Spirit of Philanthropy; The Young Professional Roadmap; and was featured in the book Under the Rustbelt – Revealing Innovation in Northeast Ohio. Ever the entrepreneur, Christy has even launched Beckett’s Buddies, a fundraising group to support those with Down syndrome, in honor of his eight year-old son Beckett that has raised nearly $100,000 for causes locally. Shon has a rich history steeped in philanthropy. He regularly donates a portion of his company revenues to the Up Side of Downs, a non-profit advocacy for individuals with Down syndrome in NE Ohio and has launched a subscription box company called Unbox Ability which buys all of its products from uniquely-abled individuals. 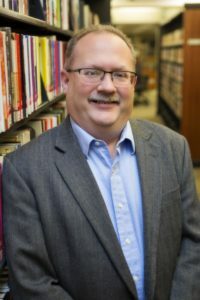 He is a past president of The Rotary Club of Akron, and has served as the Chili Open co-chairman (2 years), PR chairman, and and President-Elect in the club as well. 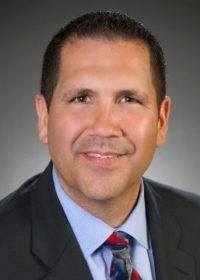 Additionally, he has served on the Board of United Disability Services, The LuMind Foundation (Down syndrome cognition research), The Rotary Camp for Children with Special Needs, The Greater Akron Chamber and the United Way of Summit County where he was also the past Young Leaders Society Chairman. Christy is a member and Vice President of the 31st class of Leadership Akron and serves on the boards of the Greater Akron Chamber Small Business Council, The Akron Rotary Foundation, Jobs for Ohio’s Graduates, Stow Youth Football and Cheerleading where he serves as Vice President and is the current president of The Stow Schools Foundation. In addition to these non-profits Shon also gives back to his alma mater The University of Akron where he serves on the board of the Taylor Institute as well as the Institute for Leadership Advancement as chairman. Christy has been bestowed with the Greater Akron Small Business Councils Excellence in Business – Emerging Business award, the Distinguished Sales and Marketing Executive Award from SMEI, and the Summit County Pinnacle Awards – Andrea R. Teodosio Rising Star Award. 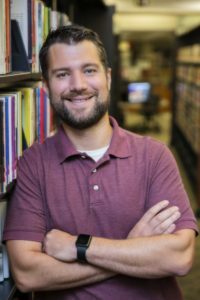 In 2012, the Greater Akron Chamber of Commerce Young Professionals Network recognized Christy with the 30 For the Future award for his community service and business leadership, the 2015 Young Philanthropist Award by the United Way of Summit County, 2016 Summit County Board of Developmental Disabilities Community Impact Award, and most recently the 2017 JOG Community Leader of the Year Award. Amber Zibritosky is a lifelong Ohio resident graduating from nearby Hudson High School and a resident of Stow since 2013. Amber currently serves as the City of Stow’s Law Director after being appointed to the position in 2014 and elected in 2015. She is the City’s first female Law Director and the youngest ever elected to the office in the City’s history. Amber has worked for the Stow Law Department since 2011 and previously worked for the Summit County Prosecutors Office. 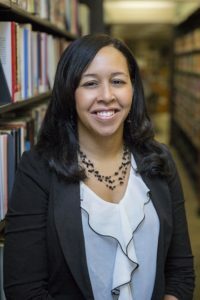 Amber has also served as the President of the Northeast Ohio Law Director’s Association in 2018, was featured as a “Spotlight Alumna” in May of 2017 by the Ohio State University Moritz College of Law online magazine the “Briefing Room,” and profiled in the Cleveland Plain Dealer’s article “Millennial Power: A New Generation Takes Public Office” in April of 2016. Amber has a Juris Doctorate degree from the Ohio State University-Moritz College of Law and a Bachelor of Arts in Political Science from Miami University of Ohio. Amber lives in the bustling Calls Farm neighborhood of Stow with her husband Jerad Zibritosky and their two children Grayson and Sienna. As a working mother of two and lifelong graduate of the public school system, Amber understands the importance of a solid education, its lifelong benefit to the individual, and its larger value to society. College affordability is a passion for Amber and she believes the Foundation’s scholarship programs and school based initiatives are essential to leveling the economic playing field for SMF students looking to succeed in higher education, trade schools, or other enrichment opportunities upon graduation. She is thrilled to serve on the Foundation’s executive board and hopes to expand the size and reach of the Foundation during her tenure. When not working for the Foundation or her Stow constituents, Amber enjoys competing in running races and triathlons. Kirsten Jagger was born and raised in Stow and is a Top Ten graduate of the Stow-Munroe Falls High School class of 1990. She holds a Bachelor’s degree in Business Administration from Kent State University and is currently employed as a Corporate Tax Manager at Matco Tools in Stow. Kirsten is married to Brad Jagger, a 1987 graduate of Stow. Their two daughters, Rachel and Amy Jagger, are 2016 and 2018 graduates of Stow-Munroe Falls High School. Kirsten’s dad was a former history teacher at Stow-Munroe Falls High School for 30 years. When approached to join the Stow Schools Foundation, Kirsten was delighted to accept. With fond memories, and sentimental, hometown pride, Kirsten is happy to be working with this group to ensure that generations of young students coming up through Stow’s schools can be afforded exceptional educational opportunities. Outside the professional world, Kirsten enjoys cooking and baking, spending time with her family, and anything Disney. Antoinette East-Jenkins is married to David Jenkins II and they have lived in Munroe Falls for the past 10 years with their 2 children, David and Madelyn. Antoinette is very active in the community and spends a great deal of her time volunteering. She is currently President of Riverview PTA, 2nd Vice President of Lakeview PTA, Parliamentarian for Stow Munroe Falls Council PTA, the Assistant Cheer Director for Stow Youth Football and Cheer, Chair of the Akron Area YMCA Childcare Board, Vice President of Jack & Jill of America, Akron Chapter, Secretary of the Stow Schools Foundation, and a founding member of SMF N.I.C.E. (Neighborhood Improvement & Community Enrichment. 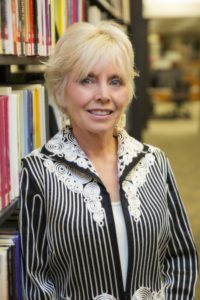 Antoinette holds a Master’s Degree in Higher Education Administration and a Bachelor’s Degree in Psychology. Currently she the Assistant Program Director of Upward Bound Math/Science & Pre-Engineering Programs (UBMS) at The University of Akron. UBMS is federally funded TRiO Program which is a college access program that works with high school students from disadvantaged backgrounds to help ensure their successful admittance and completion of a post-secondary program. Chairman of the History Dept. Served on the NEO Mayors Think Tank in conjunction with Kent State Dept. With over 25 years in sales & service, Brian has partnered with small to mid-size companies to help create innovative and sustainable strategies in a very fluid health care industry. My partnership with groups allows me to create comprehensive and long-term strategies, following 3 simple steps – plan, implement and educate. Our success stories come from a diverse base of employers and employees for their employee benefits, property/casualties and retirement planning needs. Brian has been working for Oswald Companies, for past several years. Oswald’s success can only be accomplished with continual growth and our high retention of client’s year after year. This success is achieved by our employee-owners going above and beyond expectations with unmatched effort, vision and laser focus, with our clients best interests at heart. In a short time living in Stow, Brian & his wife (Alicia), son (Owen) & daughter (Kate) have embraced the community, participated in many local youth programs & boards. Brian is very proud to have served in US Navy from 1987-1991. During that time he was deployed to the Persian Gulf & South America. Past President and Vice President of the SMF School Board. Member of the negotiating team for the Certified and Classified renewal contracts. Retired from Bridgestone Firestone after 41 years of service. 1966 – 2007. Generated $55 – $58 million dollars in revenue yearly and managed a $4 million dollar yearly expense budget. Also, prepared $62 million budgets and forecasts for the organization under my control at Bridgestone/Firestone. Nominated and elected to the ABA Board of Directors the last 9 years of employment which is the largest association in the Inter-city transportation business. Nominated and elected to the ABA Board of Governors the last 3 years of my employment. This Board selects students for scholarship awards from all over the country and supplies grants to college students. Met yearly with fellow ABA Board Members, Senators and Congressmen on Capitol Hill to discuss concerns and update House and Senate Representatives with issues related to my business industry. Kevin has been an Ohio resident since 2003, moving to Stow in 2014. He grew up in the Western Maryland town of Cumberland before attending West Virginia Wesleyan College where he played football and met his wife Meghann who is a native of Cuyahoga Falls (she played Volleyball). Kevin graduated in 2001 with a degree in Business Marketing and Economics. After gradation he moved to back to Maryland and started his career at American Express Financial Advisors and T. Rowe Price while earning a Masters Degree in Finance from The Merrick School of Business at the University of Baltimore. In 2003 Kevin and Meghann moved to Ohio where Kevin joined Sequoia Financial Group (an Independent Wealth Management firm) and Meghann started at Stow-Monroe Falls High School as an English teacher. Today Kevin is a Vice President at Sequoia where he oversees all of the firms strategic initiatives including Mergers & Acquisitions, recruiting, and Human Resources. In addition to the Stow Schools Foundation, Kevin has served on the Foundation Board and the Emerging Leaders Board at Akron Children’s Hospital. Kevin and Meghann are members at Redemption Chapel in Stow with their children Adriana, Leah, and James. My wife Cindy and I have been residents of Stow for 28 years. Both our children (Andy and Katie) are proud graduates of Stow-Munroe Falls High School. I am a graduate of the University of Akron with a degree in Business and Sales & Marketing. I am recently retired after almost 42 years of service with Albrecht Grocery (Acme) as a Store Director. Currently I am the Mayor of the City of Stow. Previously before accepting the role of Mayor, I was on Stow City Council for 11 years and the Stow-Munroe Falls Board of Education for 6 years. I am very proud to call the City of Stow my home. Some of the organizations I am currently a member are: The Stow-Munroe Falls Chamber of Commerce, Rotary Club of Stow-Munroe Falls and the Stow-Munroe Falls Community Foundation. I believe education is one of the most important foundations in our society; this is the reason I am proud to be a member of The Stow Schools Foundation. Kelly Toppin is a 20-year resident of Stow where he lives with his wife (Lisa) and daughters (Emily and Sarah). Kelly is very active in the community and holds several leadership positions within his clubs and organizations. Kelly is currently Vice President of the Stow-Munroe Falls City Schools Board of Education, Board Member of the Stow-Munroe Falls Community Foundation, 1st Vice President of the Stow-Munroe Falls Lions Club, Treasurer of the Citizens for Non-Partisan Politics Club, Past Chairman of the City of Stow Inclusion Committee (FKA The City of Stow Commission on Disabilities) and Past Chairman of Relay for Life. 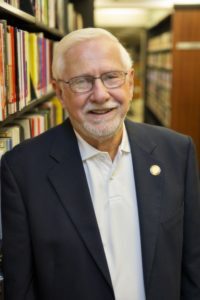 Along with these leadership positions, Mr. Toppin is also a member of the Stow-Munroe Falls Rotary Club, Free and Accepted Masons of Ohio and Tadmor Shrine. Mr. Toppin is employed with PNC Bank in Brecksville, Ohio where he is a Vendor Relationship Risk Specialist as well as an Officer of the bank. Mr. Treen is an educator who serves as an assistant principal at Stow-Munroe Falls High School. He graduated from Kent State University in 2006 with a Bachelor of Science in Education with a concentration in Physics. After graduation, he secured a job at SMFHS where he taught conceptual physics, engineering physics, and Advanced Placement Physics. Mark became involved in the Stow Schools Foundation in 2012. The Foundation allows him to impact more students in different ways outside of the traditional assistant principal role. 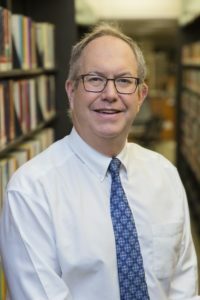 He chose to pursue educational administration at Cleveland State University and was attracted to the program because of the interdisciplinary course of study which pulled from programs not only outside of the College of Education, but in the Colleges of Business and Urban Affairs. 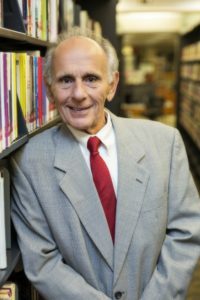 In 2011, Mr. Treen secured his Masters of Education with a specialization in Organizational Leadership. As an administrator, he strives to provide an educational experience centered on what is best for all students. 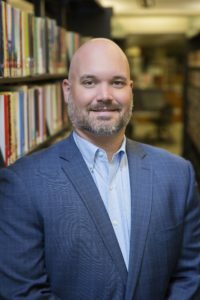 Under his leadership, SMFHS has seen significant expansion in programs such as Career Based Intervention, Advanced Placement, Google Apps for Education, and mobile technology. Sarah Vojtek has been a Stow Bulldog since Kindergarten. After graduating in 2000, Sarah received her Bachelor’s in Early Childhood Education from the University of Akron. After several different jobs, Sarah went back to earn her MBA from the University of Akron. 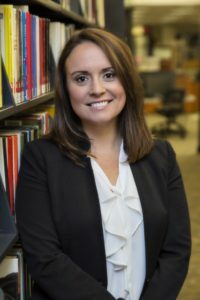 Sarah has made a career out of planning corporate events, first for the University of Akron Athletic Department and then for the Greater Akron Chamber. 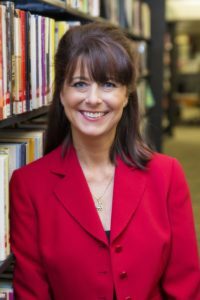 Sarah currently holds the title of Director of Member Services at the Greater Akron Chamber where she is responsible for all aspects of chamber membership. Sarah and her husband, Bill, currently reside in Stow with their two daughters, Gabriella and Lillian. Sarah enjoys traveling to the beach or Walt Disney World, catching up on her favorite television shows and spending time with family. Sarah is looking forward to serving on the Stow Schools Foundation Board of Directors.